Katherine Marshall is a senior fellow at Georgetown University’s Berkley Center for Religion, Peace, and World Affairs and Professor of the Practice of Development, Religion, and Conflict in the School of Foreign Service. She serves as executive director of the World Faiths Development Dialogue (WFDD), a non-government organization that works to bridge gulfs that separate the worlds of development and humanitarian affairs and religion. 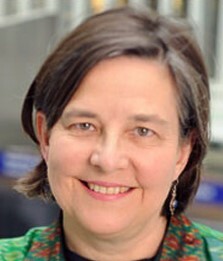 Katherine Marshall was co-chair of a working group on religion, women, and peacebuilding was one of five sub-groups supported by the U.S. State Department’s Office of Religion and Global Affairs appointed in March 2016 as part of Secretary of State John Kerry’s Strategic Dialogue with Civil Society. She spent 35 years at the World Bank in operational leadership positions and serves on several non-profit boards including AVINA Americas and the Advisory Councils for the International Anti-Corruption Conference (IACC) and the End Child Poverty Steering Committee. She was co-convener of the US State Department Sub-Working Group on Religion, Women, and Peacebuilding. She was a trustee of Princeton University and the National Cathedral Foundation, Chair of the World Bank’s Community Connections Fund, trustee of the Opus Prize board, and chair of the International Selection Committee for the Niwano Peace Prize. Her most recent books are Global Institutions of Religion: Ancient Movers, Modern Shakers (Routledge 2013) and (co-edited with Susan Hayward) Women, Religion, and Peacebuilding: Illuminating the Unseen (US Institute of Peace, 2015).